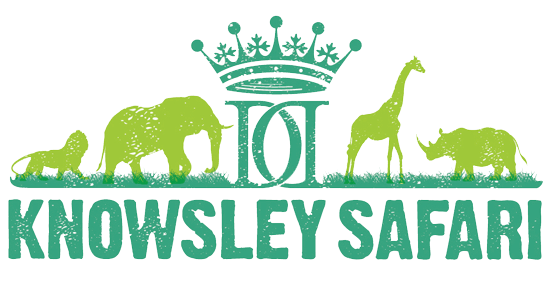 The South Downs National Park combines a biodiverse landscape with bustling towns and villages covering an area of over 1,600km2 and is home to more than 110,400 people. 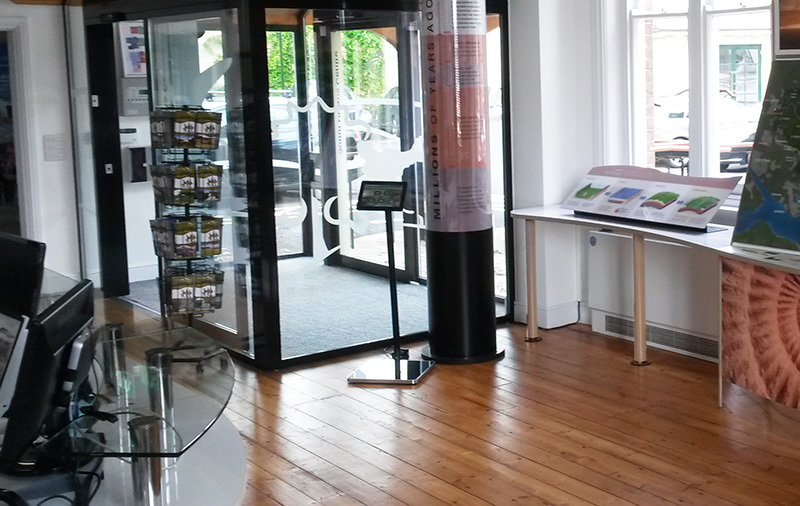 South Downs National Park Authority were opening a new Exhibition at their main visitor centre based in Midhurst, UK. 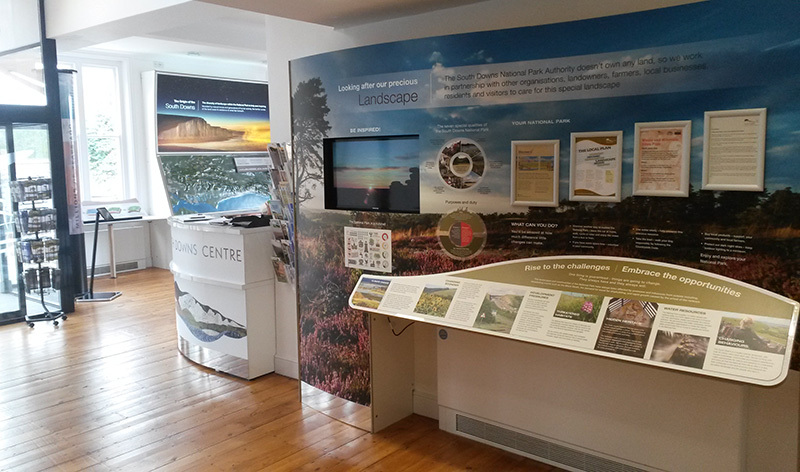 The purpose of the exhibition is to be the focal starting point for visitors wanting to explore the National Park. 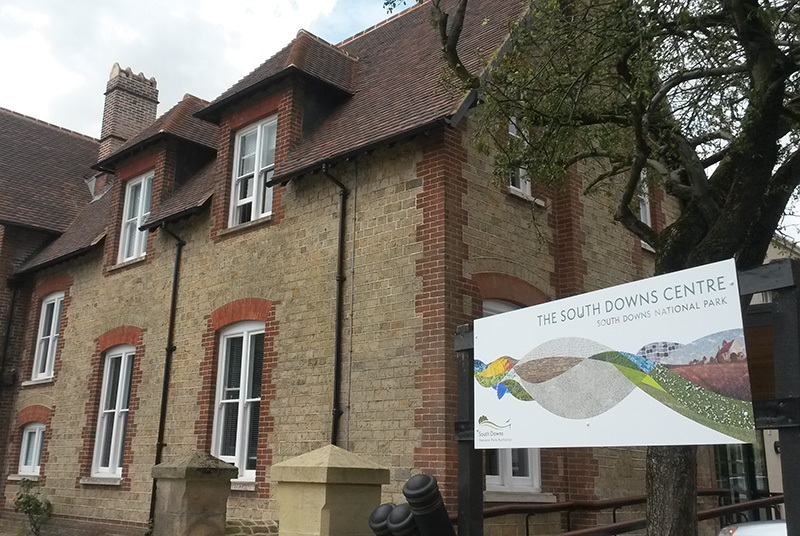 It introduces visitors to the South Downs’ landscapes, geology, produce and heritage. 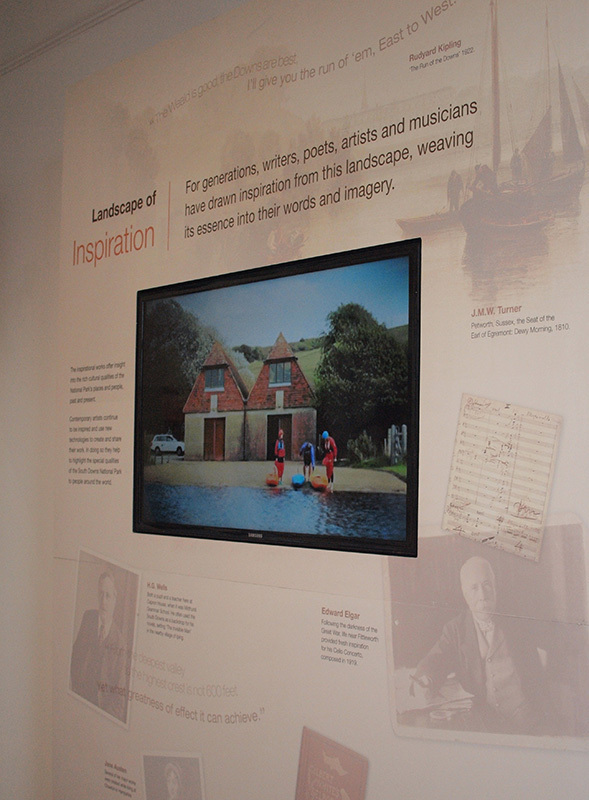 South Downs wanted this exhibition to be interactive and have the ability to change content for visitors on a regular basis. 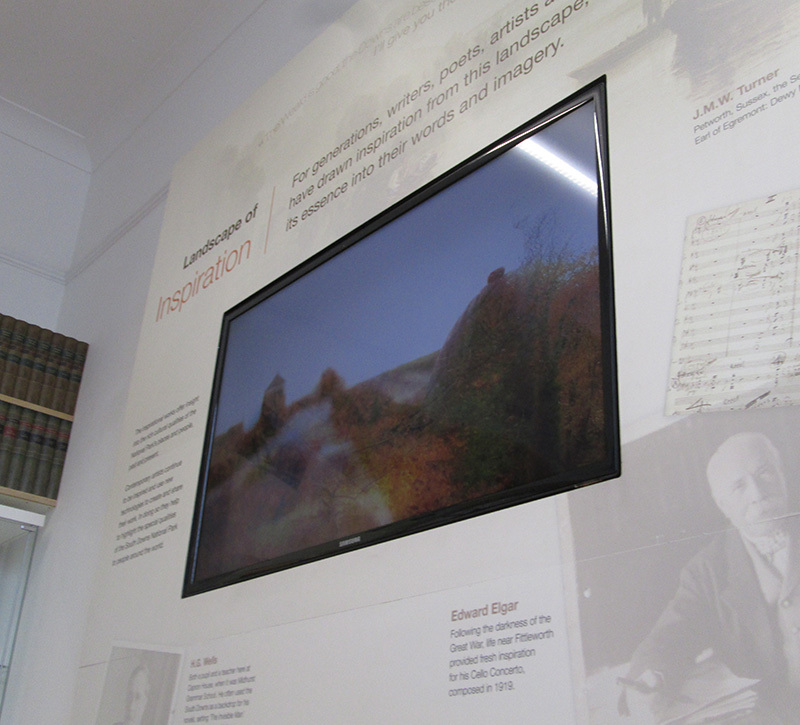 They wanted to use touch tablets for users to explore what the South Downs had to offer and also needed a solution, for one of their exhibition rooms, that would only play content when someone entered the room. 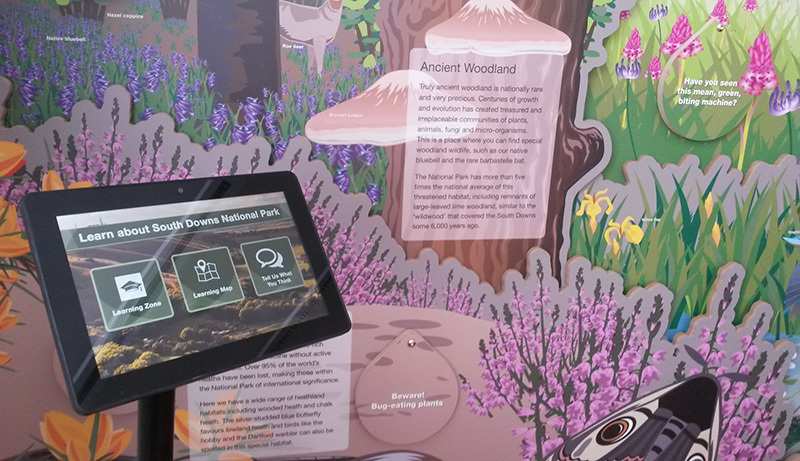 Eclipse Digital Media provided a comprehensive digital signage solution to deliver the requirements set out by South Downs National Park for their exhibition. 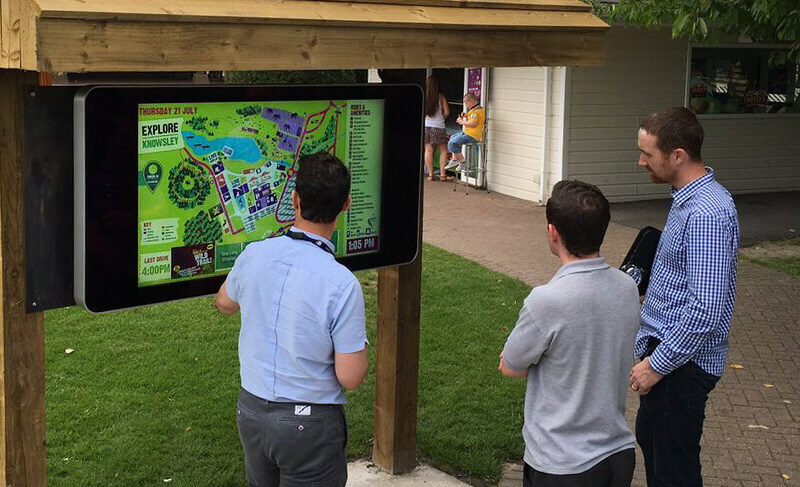 Using a combination of the cloud based digital signage platform embedsignage.com and ONELAN digital signage hardware, it was possible to create, manage and distribute content to both the Tablets and the large screen built into the exhibition stands. 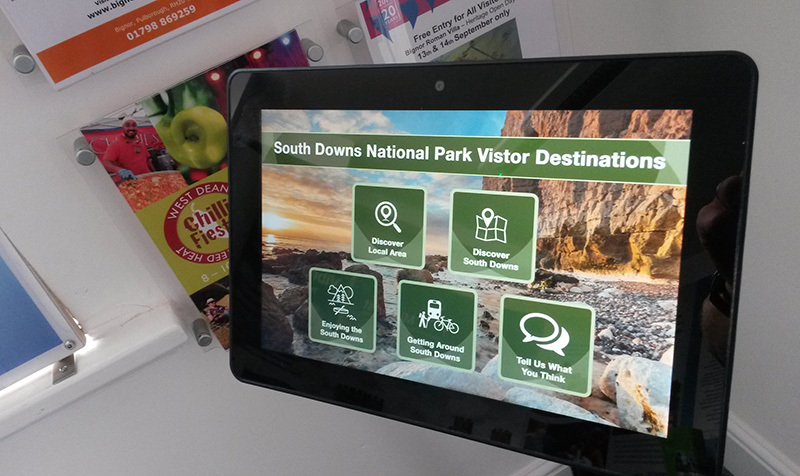 Eclipse Digital supplied three 10.1″ capacitive Android touch tablets to run interactive content to enable users to explore various information about the South Downs. Also provided were two large commercial grade Samsung displays, that were built into two of the stands by exhibition designers Fitzpatrick Woolmer. 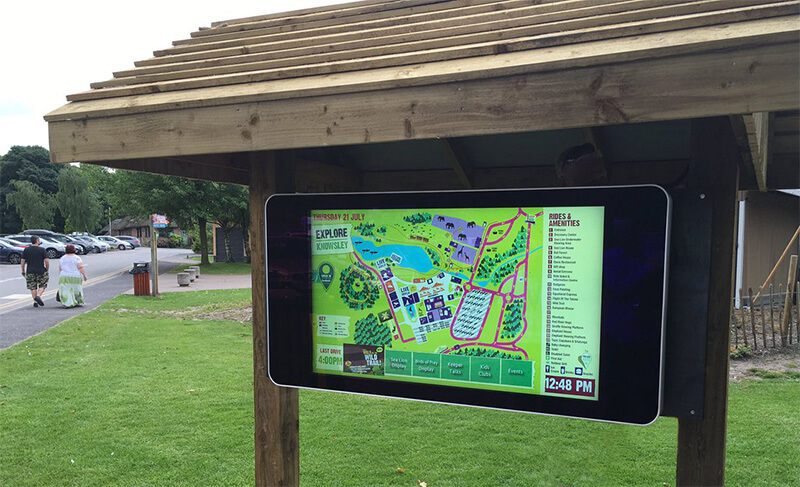 The 32″ commercial display uses a ONELAN NTB to store the content and playback; which is also updated from the cloud digital signage software; embed signage. The second screen is a 40″ commercial Samsung screen which uses a standalone ONELAN NTB with a PIR motion sensor connected by RS232. The content on this screen is only triggered to play when the motion sensor is activated.